These dogs are getting suited up and ready for work. Crowds begin to fill the beaches in the sunny months, making a lifeguard’s job more difficult. A single lifeguard and one of these dog scan rescue 3 people at once provided the swimmers are conscious. 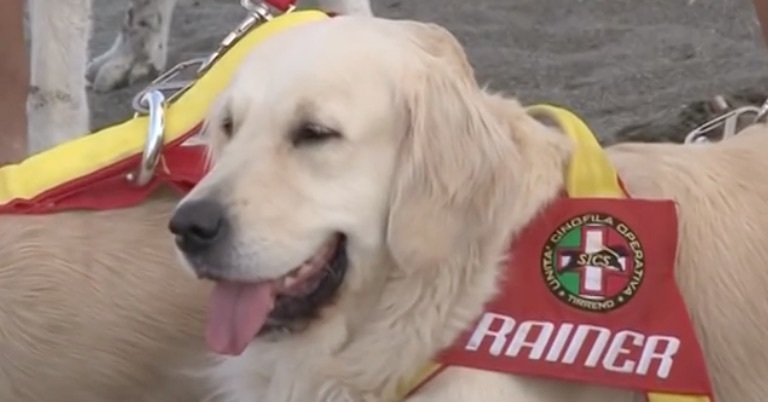 A special Italian school trains a number of different breeds for this activity but Golden retrievers, Labradors and Newfoundland’s are the most common breeds accompanying lifeguards in rescue missions. These breeds are seen as friendly by ‘victims’ and are usually superb swimmers. Their fur is more water resistant and as we’ve noted in a previous blog, the Newfoundland even boasts webbed paws. The calm temperaments of these furry helpers are an important quality. It is easy for people or dogs to panic in tricky situations so being able to remain calm is valuable. Training in this area began around 20 years ago and demand has continued since. When there is a swimmer in peril, a surf lifesaver and dog will either approach from the beach or launch themselves out of a boat to help. Sometimes a team is even dropped from a helicopter. There are approximately 300 canines performing this type of action off the Italian and Croatian coast. It takes approximately 3 years for a canine to graduate into a level where he/she is ready to perform water rescues. The lifeguard can instruct 2 swimmers to hold onto the dog’s floatation vest to be towed while he/she attends to the third swimmer. Sometimes the dogs will tow a small type of raft for a victim to hold or rest on. Currently these dogs are helping to rescue around 3000 people per year. Using the dogs greatly increases the speed at which casualties are retrieved and they also help reduce risk to the lifeguards.